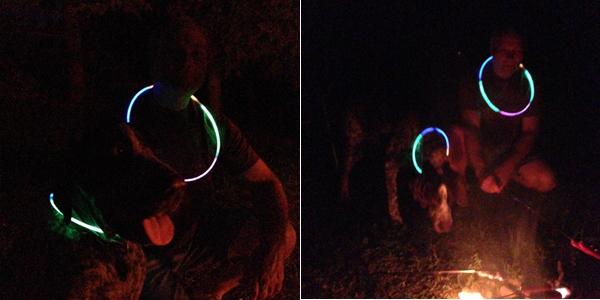 For fun I bought a pack of glow stick bracelets at the Dollar Tree before we left for the Fourth of July. One night that we built a fire for roasting hot dogs I got them out. Each pug had one on. It was great to be able to see where they were in the dark. 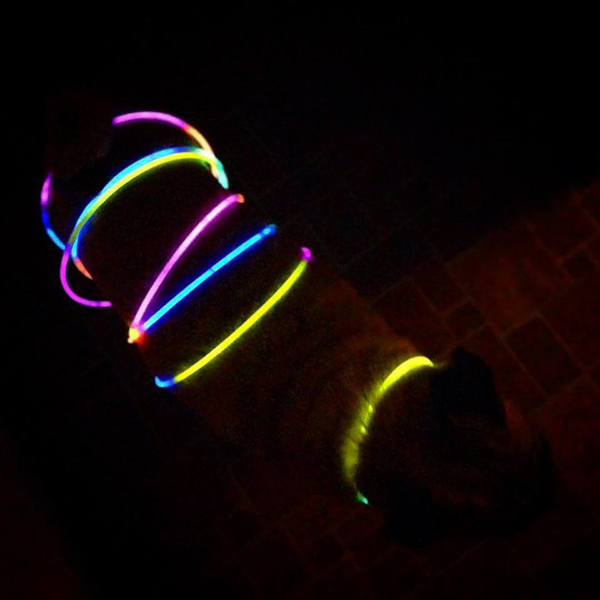 We stopped Hugo from eating a toad for instance because I could see his suspicious behavior thanks to the glow sticks. 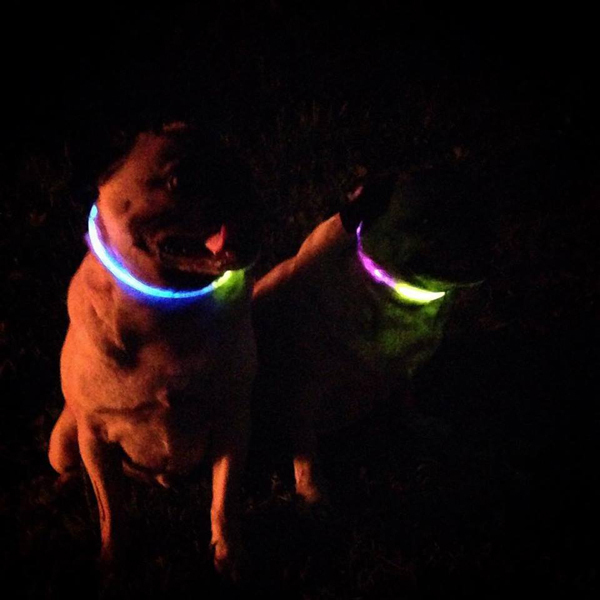 It's like a Pug Rave! Everyone had them on as we sat around the fire. 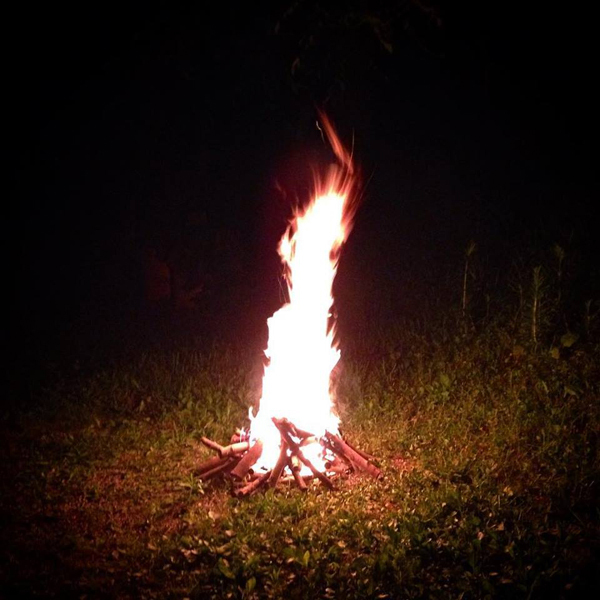 It was a pretty good campfire. 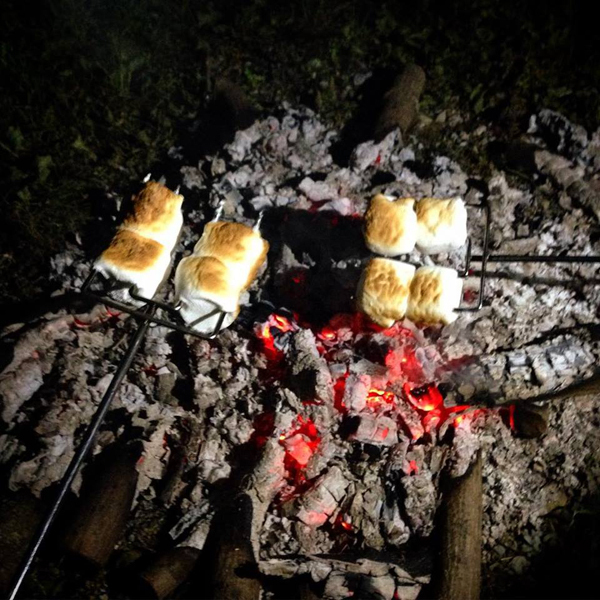 After we had hot dogs we had to toast some marshmallows too. Campfire requirement.